Altinkum on the Aegean coast of Turkey is a small town with fishing village roots. Also called Didim, as one of the cheapest, urbanized places to buy property in Turkey, it has attracted a large expat community. As of 2012, the registered population was just under 60,000 people but this is growing all the time because of the large amount of unused land available for building and the area is popular with Turks seeking holiday homes. The two names came about when the small village of Altinkum grew to merge with the small town centre of Didim and became one district. 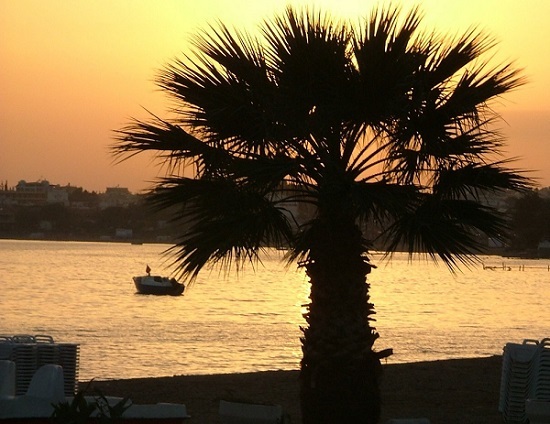 However, Altinkum traditionally refers to the beachside areas while Didim is further inland. The name “Altinkum” translates into golden sands and this typically reflects it status on the tourism scene as a beachside destination, with many foreign holidaymakers, expats, and Turks spending summer in the area. Apollo Temple is the most notable landmark. Dating from its time as a pagan worshipping centre, it marks the end of the famous sacred way that was a pilgrimage route from the ancient city of Miletus. As a renowned oracle of the Hellenistic world, it comes a close second to the oracle of Delhi in Greece and had building work continued, it would have been bigger. Dedicated to the Greek gods of Apollo and Artemis, it is the most popular tourist attraction in the region. Altinkum’s most notable building project was the D-Marin that is one of Turkey’s largest marinas. Built at a massive cost of 50 million USD, the completion enabled the town to become a favourite hub of people sailing the Turkish Riviera. It has a capacity of 1100 Yachts and a yacht club, bank, hotel with swimming pool and restaurant, cafeterias, shops, and a beach club that is a popular venue for weddings. Altinkum Mahallesi refers to the 2nd beach district that is home to many hotels, bars and restaurants. Most properties here are within a 10 to 15-minute walk to the 2nd beach that is popular during summer for its water sports. Yeni Mahallesi is a small neighbourhood sitting beside Ataturk Caddessi that is the main road running into the town and beaches. 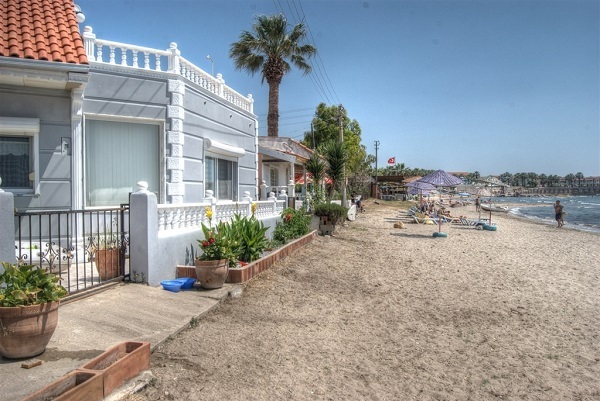 As well as being home to 2 green park areas, the neighbourhood is within close distance to most public facilities and amenities and an ideal area to live within close distance to the beach and also the main town of Yenihisar. Camlik Mahallesi refers to the area around the third beach and near the marina. Prices of property are typically higher in this area because of the sea views and close distance to the beach. It is also an area that is highly concentrated with villa builds. 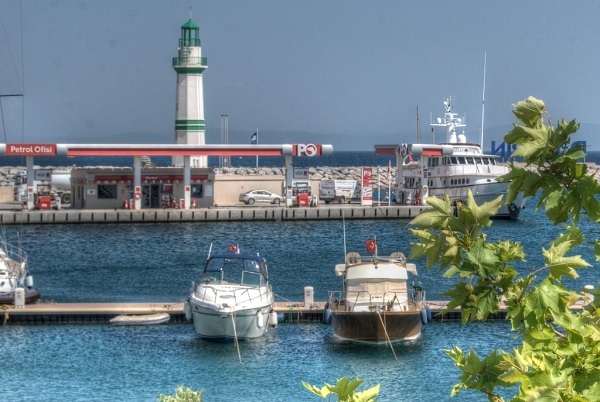 As well as an average size supermarket, there are a few bars and restaurants and it also has direct access to a transport route running from the marina into the main town centre of Yenihisar. It is worth mentioning that on the outskirts of Altinkum, a small district called Mavisehir is popular during the summer because of its fish restaurants and nightly market. As well as having access to beautiful, clean beaches, most of Mavisehir has retained its typical fishing village roots. In completely the other direction, the town of Akbuk has also grown because of its large expat community. Once again, a majority of properties are villas and the prices are higher because its bay is centered on a small hill, therefore, allowing gorgeous sea views from most angles. Life in Akbuk is also centered around the harbour. Naturally as its name translates into golden sands, beaches are a focal point of the resort. The area is scattered with many small coves and bays but there are three main beaches that are 1st, 2nd and 3rd. The later is popular for scuba diving, 2nd beach is ideal for watersports while the busiest, especially during the height of summer, is 1st beach and this is probably because of its location in the centre beachfront promenade of Altinkum. In terms of food, every need is catered for. There are three main supermarkets on the main road, a and a weekly market on a Wednesday and Saturday which are extremely popular because of the organic fruit and veg sold at cheap prices. During summer, some Turks prefer what is called Aegean dining consisting mostly of fresh fish and seafood, which is sold at the fish market, harbour front or in supermarkets. Didim shopping mall is located near the 1st beach area but the main town centre of Yenihisar is mostyle preferred because it offers more choices. Consisting of shops, traditional restaurants and offices, it is also a major business hub for Altinkum. With shops aimed at local needs rather than touristic, it is also an ideal glimpse into Turkish daily life. Unfortunately, where Altinkum has performed poorly in the past is the diversity of clothes shops. For many years, the clothing industry in the resort focused on fake brand names sold to tourists for unbelievable cheap prices but as Turkey moves into a more modern era, the youngsters prefer the branded western name shops. Recently Koton opened a store, LC waikiki (huge Turkish brand name) will also be opening a branch and brand names like Madam Coco has also ventured into the area, providing locals with optimism that they will no longer have to travel to the nearby districts of Soke or Kusadasi for the modern shopping mall. Teknoso and Bimek are the most popular shops for electric items such as televisions, cameras and laptops while phone shops scattered around the resort include Avea, Turkcell and Vodaphone. Whether on holiday or living here, no-one is disappointed with the vast diversity of restaurants within Altinkum. Including the traditional Turkish establishments (lokantas), there are Chinese, Indian, and international choices. A few of the restaurants also offer evening entertainment typically aimed at British clientele such as karaoke, quizzes and games. Otherwise, the 2nd beach area is known for its family friendly bars while Dolphin square is ideal for a few drinks before hitting the nightlife scene on the seafront which includes a nightclub open till 5 pm in the morning. A long established favourite for the younger Turks seeking an active nightlife scene is the Medusa nightclub. One of the advantages of Altinkum is that a car is not needed to get out and about. Local buses (dolmus) operate from the 2nd beach area, 3rd beach and main town while the number 2 route diverts to visit the large Kipa centre on the Akbuk road. 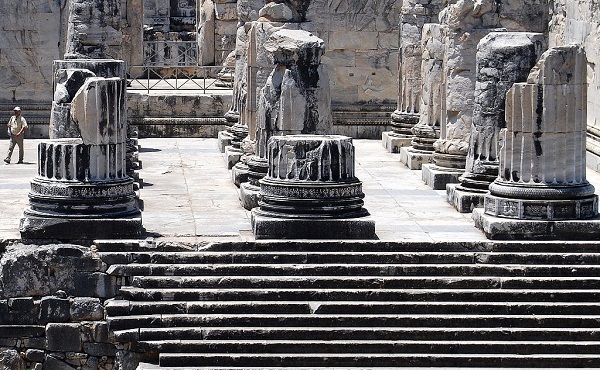 Buses depart every hour to head to nearby Soke and on the way, stop by Mavisehir and the Apollo Temple. For long distance travel, the otogar operates bus routes to most places within Turkey. Although there are not direct bus routes to the airports of Izmir and Bodrum, local tour companies sell shuttle and private transfers. For Property Buyers: We offer free complementary accommodation, and airport meet & greet services as part of our property viewing program. Contact Turkey Homes for all your inquires. Domestic tourism in Turkey: Where Do Turks Go on Holiday?